The east side of South Uist is mountainous, the highest point being 2034ft Beinn Mhor. 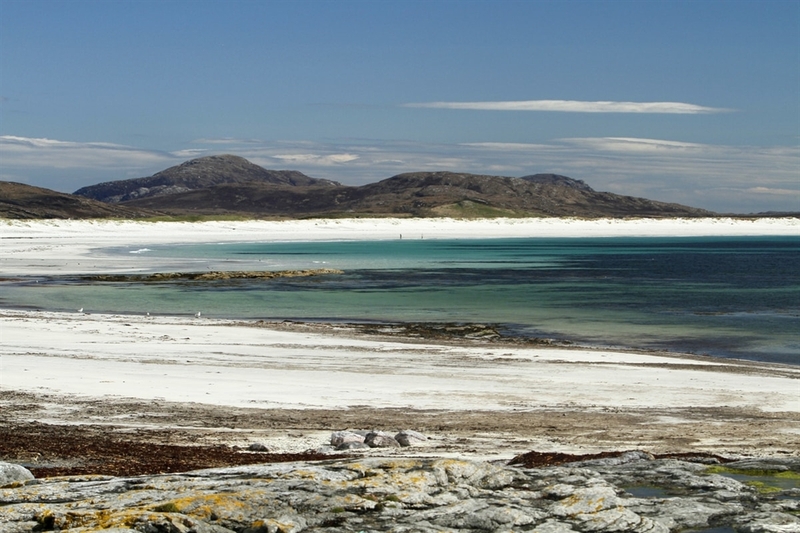 The west is characterised by some of the best beaches anywhere - a long line of sandy stretches backed by dunes and flower-filled machair. On the island you will find the oldest golf course in the Outer Hebrides at Askernish - with stunning views to be enjoyed while playing a round on the course. Don't miss a visit to the island's main settlement, and port, Lochboisdale on the east coast. It is the main gateway to South Uist, so on the way look out for the island of Calvay which is home to an automatic lighthouse and the remains of a castle from the 1200s. VisitScotland / Paul Tomkins, all rights reserved. The beach near Bornish on the west coast of South Uist. Pure white sand in a wide sweeping bay and deep turquoise waters, with mountains beyond. VisitScotland / Paul Tomkins, all rights reserved. The beach near Bornish on the west coast of South Uist. Pure white sand in a wide sweeping bay and deep turquoise waters, with mountains beyond. VisitScotland / Paul Tomkins, all rights reserved. Is it a unicorn? 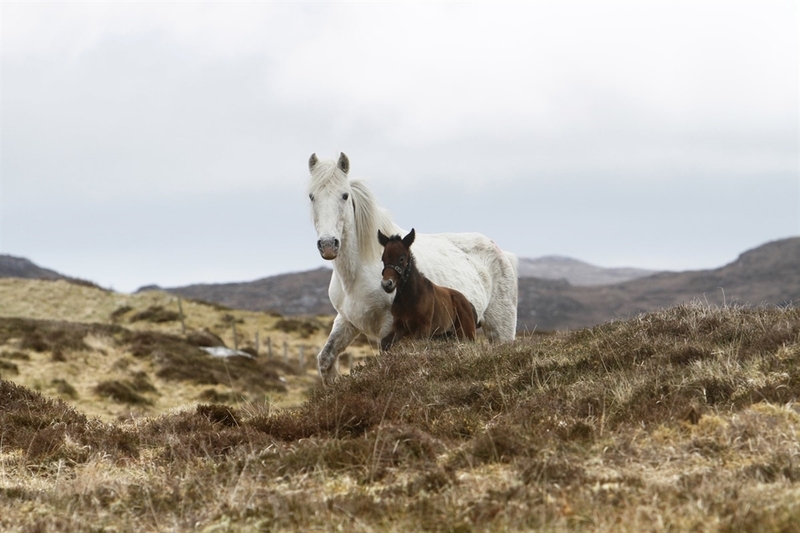 Nope, it's a pure white Eriskay pony, ears pricked towards the camera, with her small brown foal alongside, and mountains in the dist VisitScotland / Paul Tomkins, all rights reserved. 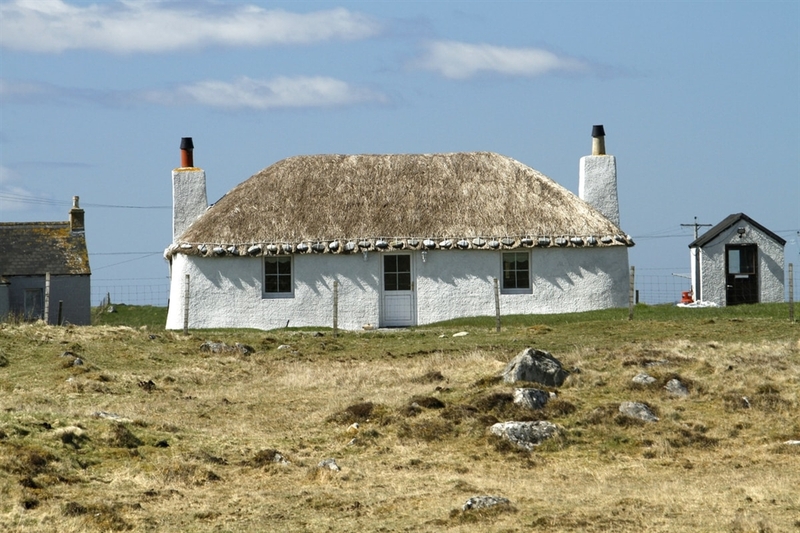 A small whitewashed croft on the island of South Uist, with a pale thatched roof. The eaves are low over the door and windows, and a chimney lies at e VisitScotland / Paul Tomkins, all rights reserved. 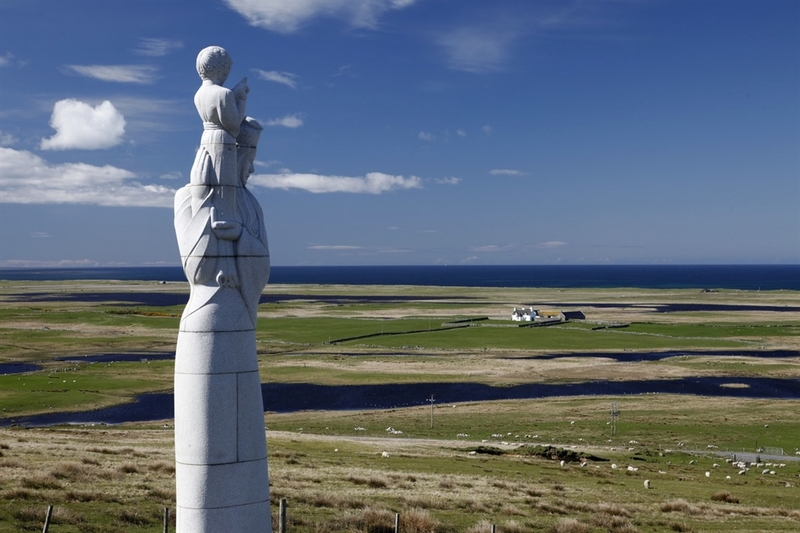 The pale statue of Our Lady of The Isles gazes out to sea across the flats of South Uist, The fields are dotted with sheep and small lochs.